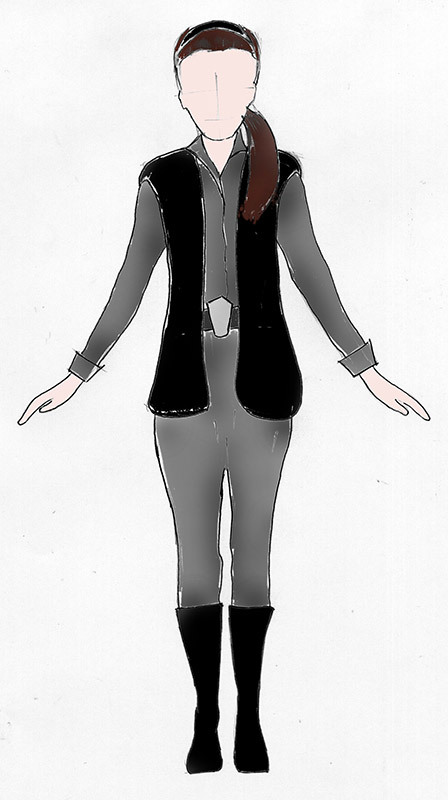 Accurate sketch of Princess Leia’s costume in Star Wars: The Force Awakens! That is the gist of the costume and the hairstyle Carrie Fisher wears in Star Wars: The Force Awakens. I guess this is the first fan art of it. When you see it in actuality, it has a little bit of a Tantive IV trooper vibe to it though. She looks great.